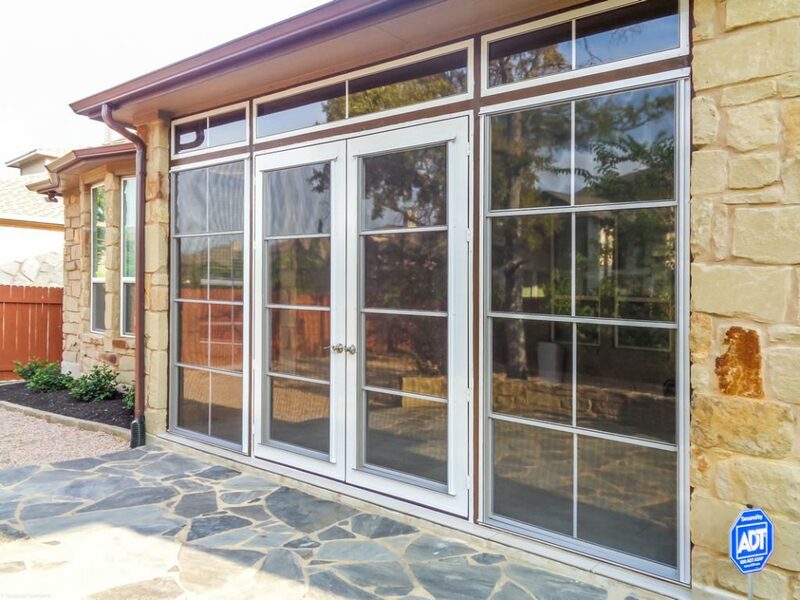 French doors give this client the ability to open her porch to the outside for times of entertaining. To complete the enclosure we used our Weathermaster Vertical stacking windows and fixed transoms. All our doors and windows are custom made to fit the clients porch.